Do you have a special video or some pictures you would like to show your guests? Wondering how to display them so everyone can actually see and hear everything? We have the solution. From 5×7 screens to 15×20 screens, we can handle any size. 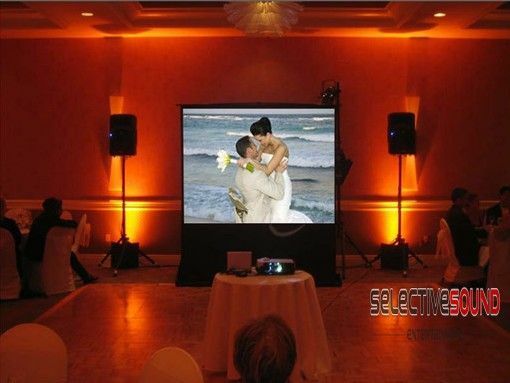 We also have high-lumen digital projectors and rear projection screens with skirts to keep the look clean.